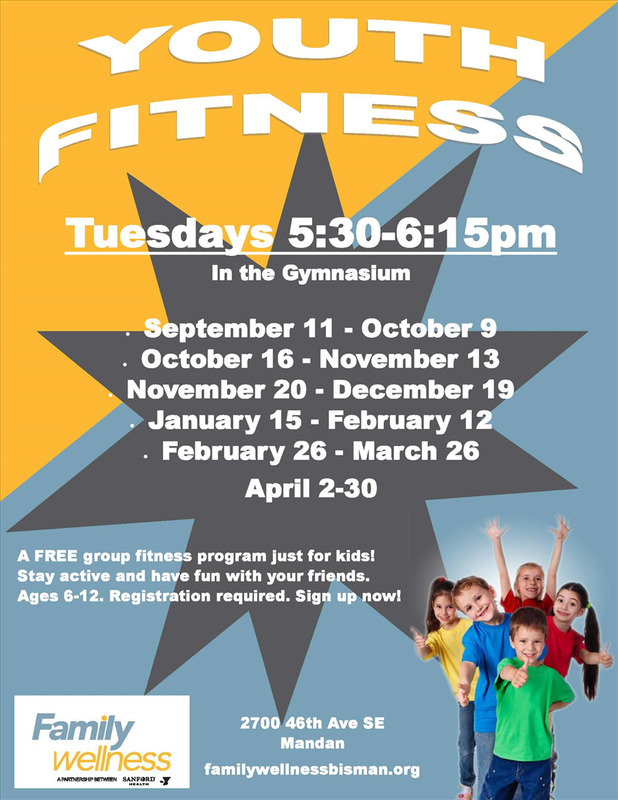 A group fitness class for youth 6-12 years old. This program introduces kids to different fitness activities from Circuit Training, Zumba, Kickboxing to Yoga and much more. There is no fee for this program but registration is required. For more information contact April Robinson at 701-751-9721 or april.robinson@bismarckymca.org.